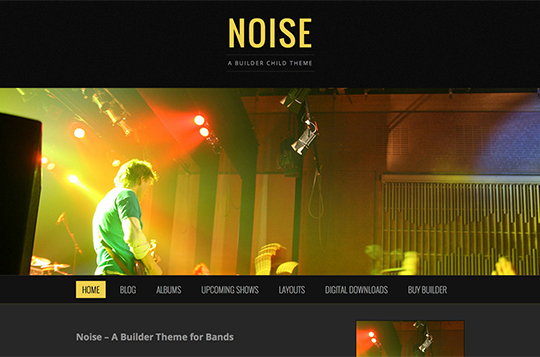 Introducing Noise, a responsive Builder theme perfect for your band. Noise supports the new Audio Block for Builder, and makes it easy for you to upload albums and playlists. Styling for several post formats is also included.